If you need to battle persistent odor one of the top tools you can add to your arsenal is an air purifier. Unfortunately, not all machines are created equal when it comes to soaking up cooking, smoking, and other smells. In this guide we’ll cover what’s needed to become the top odor eliminating machine, and recommend some of our all time favorites. First, for those of you in a rush here’s a quick overview of the machines we’ll cover in greater detail below. There are a lot of purifiers designed to eliminate odor in your home. Some of them remove odors, allergens, and small particles brilliantly. Others work better on allergens and pet dander. And, some focus on larger particles like common household dust. Almost every purifier has its strengths, and weaknesses. Unfortunately odor is one of the main problems some of the more sketchy purifier manufacturers claim to address. You’ll see a lot of websites and product listings that make claims about a filter’s odor fighting ability, when in fact, they are nothing more than paper or textile filter elements. Others claim that they magically “zap” odor from the air using ions, groundbreaking technology, or ozone. While some of those work to varying degrees, there are really only a few methods that safely trap odor. Well get to what they are and how they work later, but let’s get back to those sketchy claims. The problem is that odor is a common problem people are trying to address when shopping for a purifier. It’s also a problem that’s fairly subjective in both severity and success of removal. That means it is easy to defend claims that the product doesn’t work. So what do you do if you’re trying to sell a bunch of low end purifiers that don’t really do anything well? Many just slap a bunch of claims on the box and hope that customers think the product is working. So how do we separate the cheesy marketing attempts from legitimate purifiers with proven ability? Well, it can get a little complicated, but the key is to look for odor adsorption (not absorption). Porous materials that adsorb gas and odor are widely used in labs, healthcare, and aerospace. Look for activated carbon or similar materials like Zeolite. But, we think Austin Air purifiers might offer the most bang for your buck. They pack as much as 15 pounds of odor destroying activated carbon into their machines. Beyond that, they offer medical-grade HEPA filters that measure as large as 60 square feet. It’s the best air purifier for dog smell, litter box stink, pretty much any odor you can imagine. We really think these units will exceed expectations. Austin air purifiers were chosen by FEMA and the Red Cross in the aftermath of 9/11 in a push to restore clean air to indoor spaces throughout New York. Their machines are simple in appearance but contain one of the industry’s most elegant air purification designs. They also pack a surprising amount of carbon into the purifier’s square shaped body, more than almost any other machine on the market – making it the perfect choice for eliminating the smallest pollutants from the air. You’re kind of lazy… like us. You don’t want to manually turn off/on or adjust the purifier. 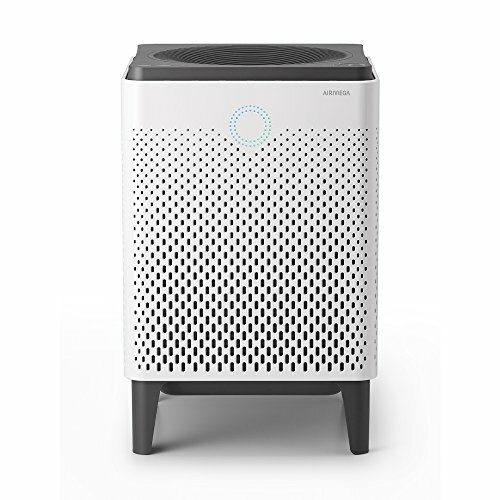 Austin Air purifiers are very, very basic when it comes to features and connectivity. If you want something that offers the flexibility that will allow you to monitor air quality, adjust settings from your phone you should check out something from AirMega. You care about looks. These purifiers aren’t ugly… but nobody will accuse Austin Air of making a pretty purifier. If you have a modern home, or spend a lot of time and money on designing your living space you should look elsewhere. The Austin Air purifiers are not easy to hide, and like many other purifiers they don’t fit in well with most decor. Look at Alen, Rabbit Air, or even the newer Blue Pure filters if you care about style. You don’t have a lot of room. These purifiers offer a lot of performance for a good price because they’re bigger than other competitors. They have a huge HEPA filter, a ton of activated carbon, and a powerful fan. Those all require a lot of space… which makes the purifier pretty large. You need quiet. The fan in this machine gets a little loud. Okay… maybe a lot loud. But, again, it’s the price you pay for affordable performance. If you’ve been around a Honeywell 50250-S… you probably understand what we mean. Bottom line if you want performance and quiet expect to pay more for your purifier. But, almost any higher end purifier (like an ultra quiet Blueair or Rabbit Air) will better meet your needs. Don’t get us wrong… we do love Austin Air. But, they’re not for everyone. If you care about appearance, size, or noise we’ve provided some great alternatives below. Scroll down to see our other top picks. AirMega is a branch of Coway, another reputable brand, who excels in high quality… high performance air purifiers. The 400S is AirMega’s flagship model, capable of purifying large rooms (up to 1,560 square feet). One feature unique to the AirMega S models is an app that pairs with the machine to control a variety of features and controls. We love where Coway is heading with its AirMega line and think you’ll be pleased with any of their models. 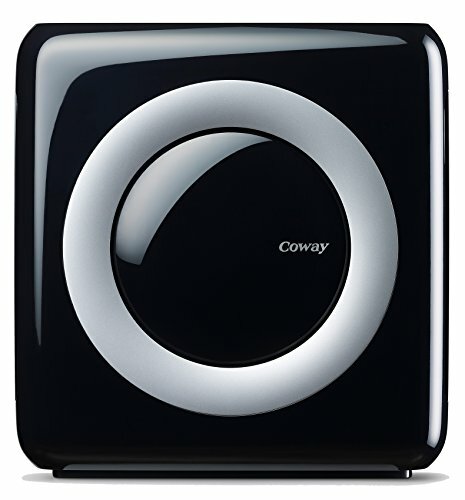 The Coway AP1512-HH is a very well regarded purifier. It consistently tops “best of lists” across the internet, and is one of our favorite options for smaller spaces. It offers four stages of filtration; a washable pre filter, an odor fighting carbon filter, a True HEPA filter, and an ionizer. This purifier does not feature an app or the latest purifier smart technology. However, it does monitor the filters life and air quality. There are also timers, and an eco mode that reduces power consumption. Overall, this is a very user friendly and affordable option for smaller spaces. It’s not as powerful or feature-rich as its cousins in the AirMega line. But, it is one of the top purifiers you can buy to take care of odor. 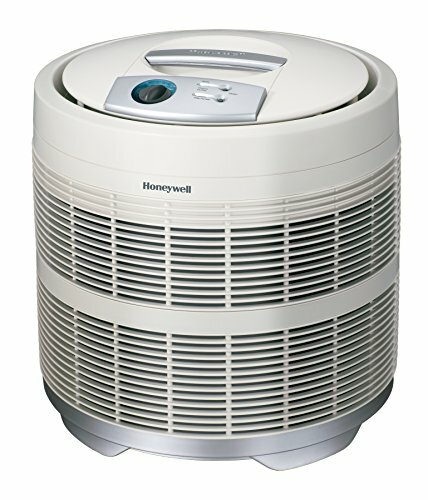 Honeywell’s 50250 is one of our go to purifiers. It provides a ton of filtration at a great price. And, it’s really easy to use. We love how straight forward every bit of this purifier is… from filter changes to operation. It’s only downsides (in our opinion) are it’s noise, appearance, and size. All of those aspects are justified, but those are the only gripes we have about this purifier. Do Air Purifiers Remove Pet Odor? Pets produce a bulk of the odors buyers seek to eliminate. And, while some significant other might advise us to rethink pet ownership… you and I know that’s not the answer. So, for pet owners who want to tackle allergies and odor. Look for a combination of HEPA filters and activated carbon. The HEPA will strip anything larger than .3 microns from the air and that carbon will lock away any stink that passed through the machine. For the most part, you won’t need anything too heavy duty for the average dog smell. But, as many of us know cats are responsible for the most difficult to tackle pet odor. Their litter boxes are notorious for producing nearly disabling odors. They can even be hazardous to your health (hint: cat poo has some pretty toxic byproducts). So if you’re battling a litter box, hamster smell, or anything that requires a lot of odor scrubbing power be ready to invest in a better unit. Yes. At least some of them do. 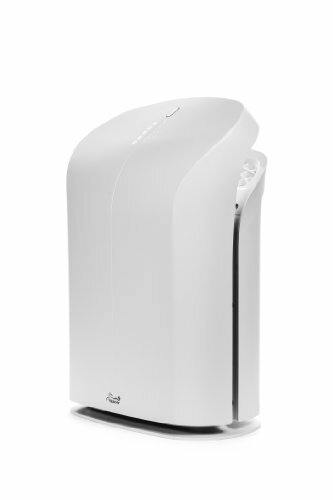 If you want a purifier that removes dust and allergens from your home you won’t have much trouble finding one. However, if you want to eliminate odors you will face a much larger challenge. Above all else, identifying the ideal odor eliminating air purifier requires that you look past the clever advertising. You need a purifier built for odor elimination. Will a Odor-Fighting Purifier Solve All my Problems? No… and sites and manufacturers that say otherwise are being misleading; if not dishonest. Odors come from a wide variety of sources and no tool is a one stop solution for every problem. Whether it’s a diaper bin’s brutal attack on your beautifully decorated nursery, or that foul litter box in the laundry room… you’ll probably need to do a few things to kill or minimize a strong smell. Typically that involves some cleaning and ventilation in addition to that air purifier. What is the most important thing to look for? We always point out that HEPA filters are great for general air purification needs. And, that’s the absolute truth. However, if you are looking specifically to remove odors will want to purchase a machine that supplements the awesomeness of HEPA with something that addresses the tiny particles. 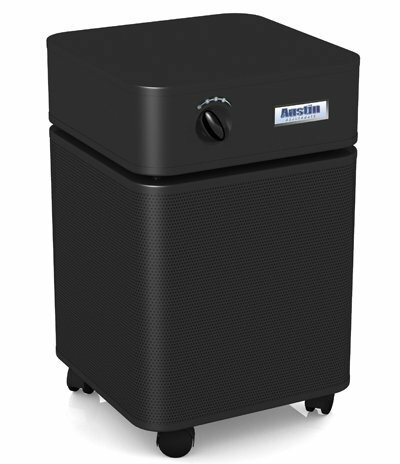 The best odor eliminating air purifier will come equipped with an activated carbon filter (or pre-filter). There are some other things that work… but not as well. Why is Activated Carbon Effective? People have used activated carbon to filter out harmful substances for thousands of years. And now it’s the go-to solution in odor elimination purifiers. Activated carbon is effective at eliminating odors because it is an extremely porous material that has the unique ability to absorb (technically its adsorption, but you get the picture) the smallest pollutants in the air. Even gases, for the most part, can’t escape activated carbon. One pound of activated carbon has a surface area of over one hundred acres. Crazy, right? That creates a lot of real estate for stinky odors and harmful gases. Many models claim that they are effective at eliminating odors, but contain cheap filters with very small amounts of activated carbon. The best odor eliminator machine should have a measurable amount of activated carbon. Look for the number. It’s important. Why is Odor Difficult to Remove? Filters eliminate particulate pollutants mechanically through the use of a filter that screens the air and strips the particulate matter from the passing air. HEPA filters are the industry’s gold standard because they remove up to 99.97% of particles (those larger than 0.3 microns in size), which covers the majority of microscopic particles like mold, dust, and pollen. Odors, however, often attack our senses in the form of gas molecules that are smaller than 0.3 microns. Many are as small as 0.001 microns, meaning they will stroll right through a HEPA filter. So as we said earlier… you’ll need some carbon. Does a HEPA Filter Remove Cooking Odor? The smell of cooking brings back a lot of great memories. Fresh cookies, bread in the oven, or the symphony delightful smells produced on Thanksgiving day. But, it’s not all sunshine and roses. Cooking can create some nasty smells, which may result from the enthusiastic preparation of strongly spiced foods. Or things like fish… which can really smell after the meal is prepared and enjoyed. The good news is that cooking odors are pretty harmless compared to the others we’ve covered. However, their composition is very similar to their more serious counterparts. How? Cooking food releases water, gases and sometimes smoke. 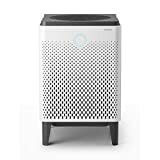 When it’s in the air that most of that stuff is too small for most filters, too strong for odor masking sprays, and can’t be captured in HEPA filter alone. Do Purifiers Help with Fumes and Cleaning Products? Volatile Organic Compounds depart many household items and materials only to float around aimlessly in the air you breathe. And, they’re dangerous. VOCs are commonly found in cleaning supplies, and even the materials used in the construction of your home. Fortunately, things are getting better and regulations are combating the amount of VOC’s common products release. But, since VOCs are both dangerous and stinky… we think you should do your part to keep them down. Through ventilation… and with the help of a quality purifier. Unfortunately, VOCs are a form of gas molecule, which are very small, about 0.001 microns. This means they will slip through even the best HEPA filters. The solution, once again, is activated carbon. Its porous structure will trap VOCs thus improving the air you breathe. This is the easy part. But, it’s important. You need to identify the smell and where its coming from. Is it lingering pet odor? Or are you more worried about intermittent smells like cooking or smoking. The source, power, location, and duration of the odor lay the foundation for your decision. A strong short lived smell will require a lot of activated carbon and a powerful machine. A lingering litter box or closet hamper smell will require less carbon… and power. You don’t need to be exact here but purifiers are sized to a room’s size (in square feet). All you’ll need to do is multiply the room’s length by its width. Also, purifiers are sized for a standard height room, so if you have high ceilings add 25-50% more to that. For example a 10’x10′ room would give you 100 square feet. But, if it has 10′ ceilings you should increase the 100 square feet measurement by about 25 percent (100 x 1.25=125). No matter what you’ll be better off going with a larger machine… especially when dealing with odor. The big things here are at what time, how often, and which room needs a purifier. Is it a basement? If you’re not down there frequently who cares how loud the machine is, and how often its running. Is it your bedroom? Maybe something a little quieter is better, but some white noise might be nice. Ultimately, the room’s use will impact your purifier budget. If its a room you’re in all the time, buy something powerful but smart. If it’s somewhere loud, or rarely used get a powerhouse with few features and let it run. You’ll save a lot of money. There are some awesome purifiers out there but they can get really expensive if you want all the bells and whistles. Don’t spend more than you need to because after you’ve bought one you’ll probably end up buying a purifier for another room. But, also be realistic when you establish that goal. Purifiers don’t come cheap and most of the sub 100 dollar ones you’ll see at a big box store are terrible for odors (and most other things). Air purifiers have a lot of small differences and tradeoffs, that have serious consequences. That’s actually why we built this air purifier review website. If you fall for the marketing gimmicks you’ll be disappointed. Compare a few and buy the one that works the best for your needs (identified in step 1-4). This is important. And to be honest where we used to get stalled all the time. We’d research and then hold off… then research some more, then second guess our decisions. At some point it’s better to make the best decision you can with the information you have available. Learn a bit… but don’t postpone your purchase if you don’t have to. Odor is something that needs to be addressed and fixed ASAP. While any of these machines are excellent choices for odor removal, the Austin Air Healthmate is likely the winner. It has, by far, the most odor fighting material contained within its filter. It contains a much greater amount of activated carbon than the other two machines. And that makes it more effective at eliminating odors and harmful VOCs. If you are not as concerned with VOCs, the other two models are excellent choices to eliminate pet odor as well as cooking odor. These machines are great at odor control. However, keep in mind that they are all top-of-the-line machines suitable for a variety of uses around your home. From pollen, to fumes, to smoke; they’ll help you improve the air you breathe. Finally remember that there are other steps you need to do to prevent and mitigate odors. From weed smoke odor to litter box stink… no purifier is going to help kill strong smells if you don’t do your part to eliminate some of the source.